My first serious engineering project was the design of a bell prover for Polish Central Office of Measures. The prover is up till now the highest level standard of flowing gas volume in Poland (Fig. 1). My further professional achievements are strictly connected with flow metrology. My Ph.D. thesis (1979) concerned the dynamical properties of variable area flowmeters. I developed theoretical model describing their dynamic properties and verified them experimentally. 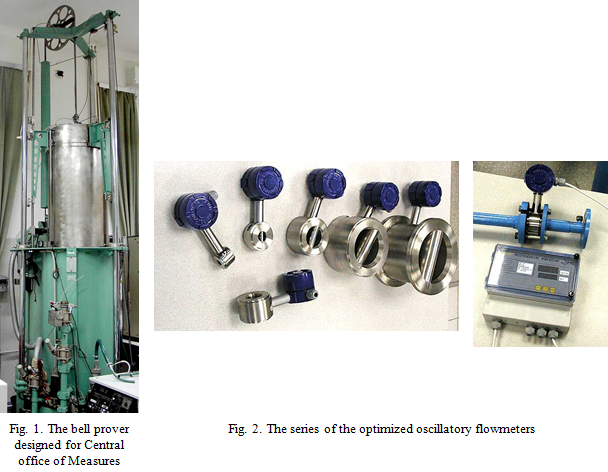 I have spent many years developing the new construction of mechanical oscillator flowmeters (Fig. 2). It was crowned by implementation of serial manufacturing of such flowmeters. They were used in many branches of industry [3, 6, 8, 9, P1 – P5] (for citations see bookmark “Publications”). The research allowed to optimize this class of meters in terms of accuracy, rangeability and decreasing the pressure losses. The next challenge was the task put by the sulphur mine – how to measure the 2-phase mixture of liquid sulphur and air. I have developed a simple installation (Fig. 3) which separated both media enabling then their flow rate measurement [12, P6, P7]. I have also developed new similarity criterion for modeling such mixture flow in laboratory conditions . I have spent a lot of effort I devoted to develop a flow laboratory in my institute (see tab Flow Laboratory) , which constitutes the basis for most of my research. I have built two stands for low pressure air flowmeters calibration and the first in Poland calibration facility with the use of high pressure air (up to 40 bar). Another high accuracy stand operates with water as working medium and is suitable for the calibration of flowmeters for liquids. In the period 1989 – 2000 I have undertaken a second time job in Polish Oil and Gas Company as Manager of department dealing with planning, design, construction and maintenance of ca. 100 gas metering and regulating stations. In the period 2000 – 2004 I worked a second time job in Gazownia Serwis Ltd. as director of department dealing planning, design, construction and maintenance of ca. 300 gas metering and regulating stations covering North Eastern quarter of Poland. It has unavoidably slowed down my academic carrier but brought invaluable benefits in form of numerous personal contacts. Moreover, wide experience in oil and gas industry oriented my further research to the real needs of this industry. 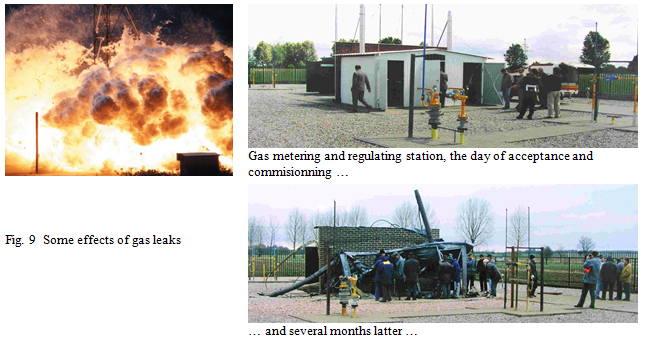 During this period I designed dozens of gas metering and regulating stations and proposed some new solutions [P8]. I have also developed the natural gas odorizer with dosage system [P10]. My next research area were systems for leak detection and localization, limiting effects of leakages of substances transported by pipelines. I managed several projects in this domain, financed both by industry and the Ministry of Science and Higher Education. Besides progress in development of such systems [14, 15, 16], additional effect resulted from this research. I have noticed a rather obvious fact that the uncertainty of measuring instruments influences the accuracy and sensitivity of leak detection systems. What is more, this influence can be formulated in analytical form, using uncertainty analysis principles [19, 20, 23]. In the meantime I have developed a building permit project of high pressuregas metering station for maritime Liquefied Natural Gas (LNG) terminal in the coast of Baltic sea. Investor supervision during commissioning (at present). Some innovating solutions were developed during this project [P11, P12]. Moreover, during the project I have paid several technical visits in the leading European Laboratories calibrating gas meters with the use of high pressure gas: Force Technology, Vejen, Denmark; Euroloop (NMi), Rotterdam, The Netherlands; ENAGAS, Zaragoza, Spain. From 2011 I cooperate, providing consultancy services and assessment of design and construction documentation, for Logistic Operator of Liquid Fuels (OLPP, currently PERN). 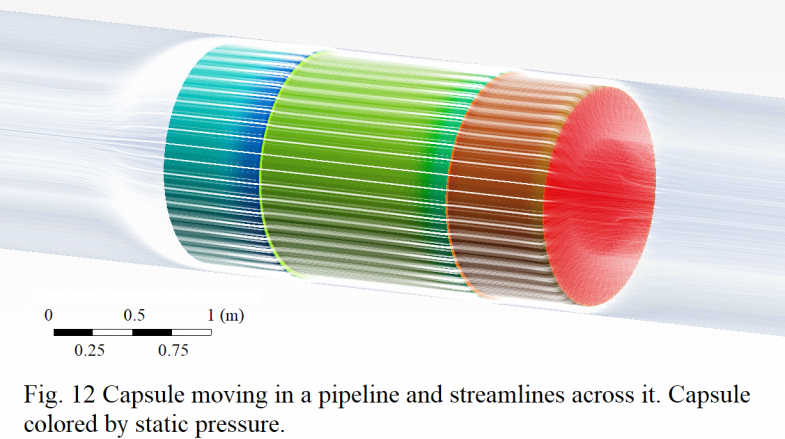 The cooperation concerns installations for dynamic measurement of fuels transported by pipelines. In 2015 I took part in Factory Acceptance Test of Compact Piston Prover manufactured for OLPP in USA, Houston by Daniel Measurement and Control, Inc.
For the last few years I have tried to realize my idée fixe –consumer goods transport through pipelines in pneumatic capsules. The goal is to adapt existing pipeline construction technologies to build safe, sustainable and independent of weather conditions transport system, decreasing traffic in congested city centers and motorways. All the theoretical problems, such as description of the capsules dynamics by differential equations system, aerodynamic forces calculation with the use of Computational Fluid Dynamics (CFD), concepts of the crucial system elements are already resolved [22, 24], (Fig. 12). However, I need financial support for further continuation of the research. I am trying to raise funds applying for various grants, so far unsuccessfully, perhaps because the project is of high risk/high gain type and seems to be too futuristic, fantastic or even crazy. 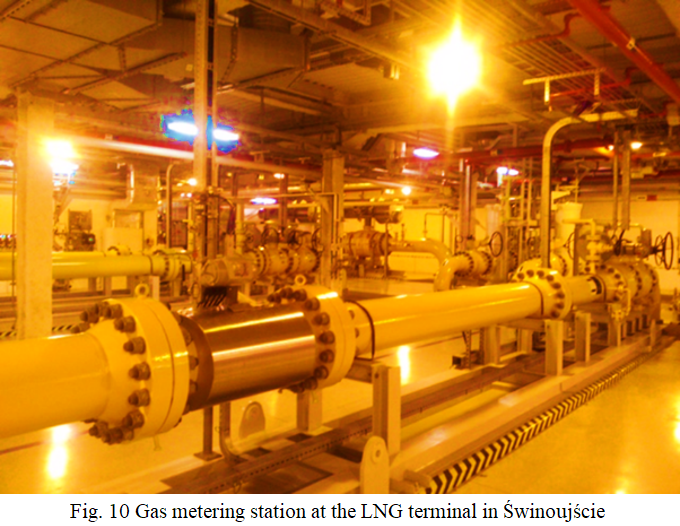 Currently I am working on a LNG energy metering device for Polish Oil and Gas Company. Its main component is a flowmeter that is able to operate in cryogenic conditions. 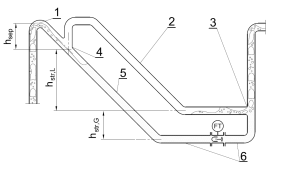 For this purpose a modernized version of a mechanical oscillator flowmeter presented in the Fig. 2 is going to be used. 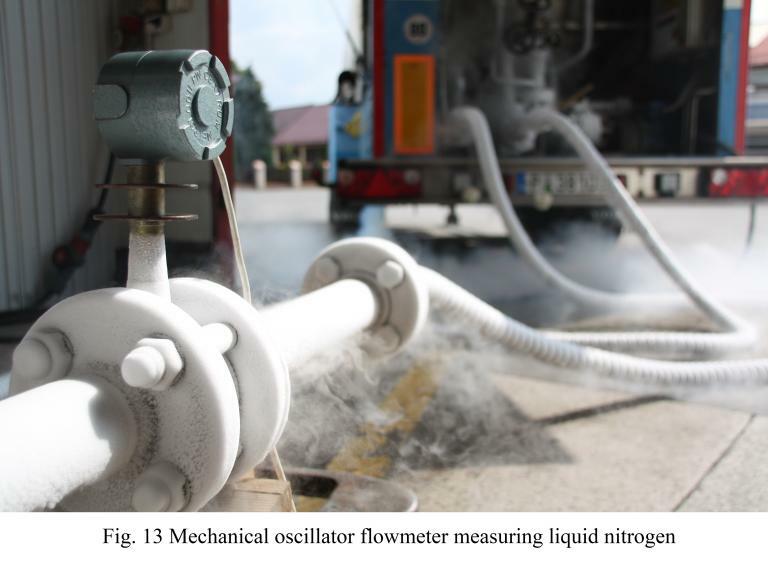 The device has already undergone preliminary tests using liquid nitrogen as a measured medium (Fig. 13). The reference meter in that study was a Coriolis flowmeter calibrated in cryogenic conditions. 2007 – Polish Chamber of Gas Industry, member of standardization Committee, leader of the working team – Gas volume measurements at high pressure. 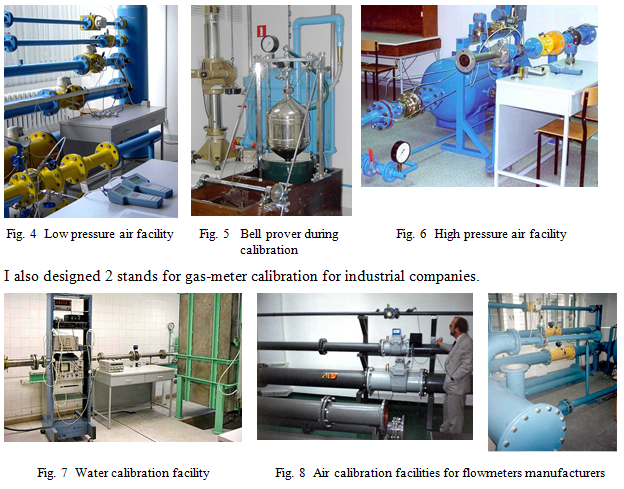 2000 – Reviewer: Flow Measurement and Instrumentation, IEEE Transactions on Reliability, IEEE Sensors Journal, Journal of Automatic, Mobile Robotics and Intelligent Systems), Metrology and Measurement Systems, Journal of Power Technologies, Maintenance and Reliability. 2008 – 2012 Expert witness in lawsuits concerning fraudulent gas consumption.